There’s nothing like the aroma of freshly baked pies and pastries. So, if you have a broken-down oven, don’t hesitate — get in touch with our team of mobile repair professionals right away to have your oven fixed in no time! A1 Appliance Repair offers mobile oven repair services, offering customers across Sydney the convenience of fast and reliable repair services no matter where you are located. So, whether you’re in the Sutherland area, the north shore, inner west or any other part of Sydney, give us a call today! Ensure that when you are wanting to make some delicious baked goods, a hearty home-cooked meal or even Sunday roast for the family that your over is up to scratch with an A1 over repair. 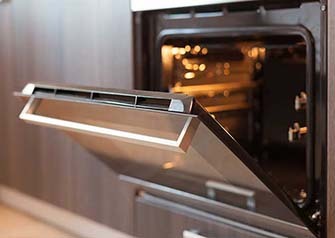 With many years of experience working with ovens of all shapes and sizes, the experts at A1 Appliance Repair will be able to fix your oven no matter what brand it is. 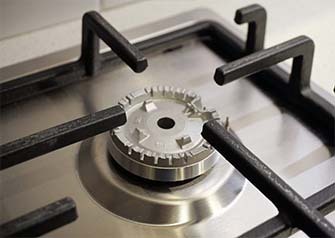 We are also able to source genuine, high-quality parts and materials if necessary for repairing your oven. A1 Appliance Repair have become the go-to providers of electrical appliance repairs in Sydney through our commitment to providing a superior level of services. Our professionals are highly experienced in replying a range of electrical appliances, and alongside over repairs we can also service dishwashers, washing machines and fridges as well. If you’re having issues with your TV or reception, we can even provide installation and repair services for your TV too. Wherever you are in Sydney, we can come right to your doorstep. Our mobile oven repair services offer people all across the city the convenience of repair services, and we extend the same services for repairs of other electrical appliances as well. We are committed being transparent and competitive with our prices, and combined with our dedication to always providing the reliable and high quality repair services you can rest assured that you’re getting only the best when you choose A1 Appliance Repair. With our expertise in all things to do with electrical appliances, we have become the most trusted name in Sydney when it comes to electrical appliance repairs. Get in touch with us today to have your broken oven or other electrical appliances fixed. We’ll have it better than new in no time! Great work ethic, good price for some hard work and did a good job for me. Efficient and quite was cheaper than others for a simple job. I would recommend. Tom came and did the job. He was very good, no problem at all. Everything went well. Happy to recommend. Tom was really great and I was happy with the service. Helpful and honest discussion, allowing best decision on way forward to be made. I was extremely satisfied with the service received. Got a super quick response to the call out for a quote. Tom agreed to be here early the following morning, he was on time, very friendly and fixed the problem in under 10 minutes. We were very happy to have our TVs working again! 35c heat, so arranged with Tom to come out early evening, arrived at 5:40pm and worked till 7pm during a rain storm to ensure that our new antenna was properly aligned. Thanks Tom! Very quick response, came out the same day and completed the job. Would highly recommend. Good value for money. With over 15 years experience and real focus on customer satisfaction, you can rely on us.